If I could go back in time and talk to myself before I was a first-time mom, I think one of my biggest pieces of advice would be this: spend the extra money to get the really nice baby equipment. My stroller is holding up just fine (and actually doesn't get as much use as I thought it might, since I tend to wear my babies most frequently), but it does have some wear and tear issues. Knowing that my baby equipment will be used through two (or three, or four) kids means that the initial investment can spread over many years of use! I have my eye on a double jogging stroller - as though that might make me more inclined to exercise! 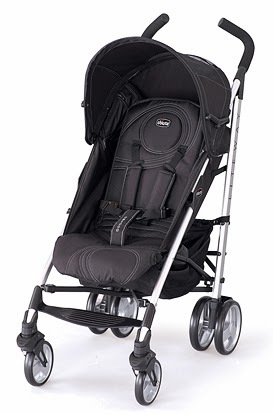 I've always been a fan of Chicco's clean designs, and the Liteway Stroller is no exception! Trendy colors, modern tailoring, eliptical tubing and high-tech wheels make this stroller fashion forward. Compact 3-D fold and carry handle for easy travel. Fully reclining seat with hide-away boot enclosure for sleeping babies. Rear wheel suspension and toe-tap locking brakes keep your ride safe. Storage basket detaches and converts to sling tote for carrying baby's things. One-hand adjustable reclining seat, canopy and leg support allow for baby's comfort. Recommended from birth to 40 lbs. You can read a toddler mom's review of this stroller here. You can purchase your own Chicco Liteway Stroller at Babies R Us or Amazon. 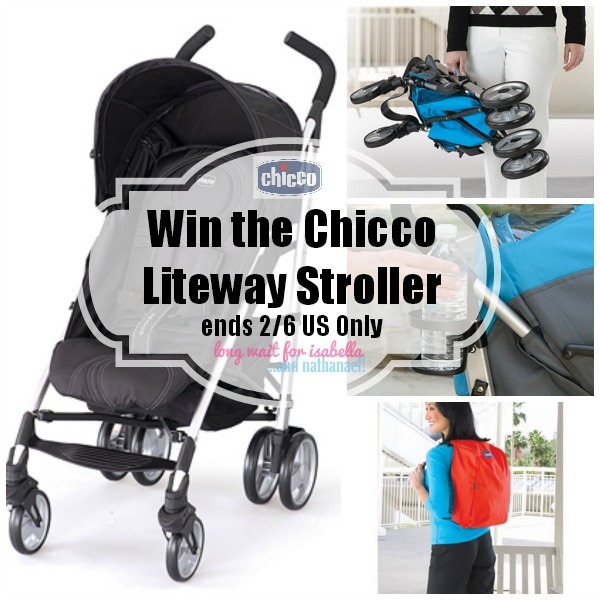 I, along with a group of 9 other bloggers, am giving away a Chicco Liteway Stroller! Enter the Rafflecopter form below for your chance to win. Open to US residents 18+. Disclosure: Long Wait For Isabella was sent this product for review. All other participating bloggers received no compensation for this blog post. All opinions are my own. Long Wait For Isabella and other participating bloggers are not responsible for prize fulfillment. Please contact longwaitforisabella@gmail.com if you have any prize fulfillment issues within 6 weeks of winning.